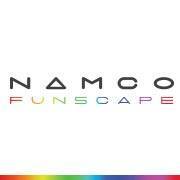 At Namco Funscape you can choose from more high-tech entertainment than any other London venue – including 150 of the latest interactive video games, a luxury Ping & Pool Hall, six lanes of techno-bowling (plus a further six boutique bowling lanes in the bar), our famous turbo-charged bumper cars and The Vault Laser Maze Challenge. We also have a fully licensed bar that serves a variety of food and drinks, including Costa Coffee, and frequently have promotional offers. And not only are we a unique London event space, but we’re also the city’s best indoor family entertainment venue. We’re suitable for all ages and totally FREE to enter! Located in London’s magnificent County Hall, right next to The London Eye, on London’s South Bank, we enjoy mesmerising views across the Thames of the Houses of Parliament and Big Ben.